I know some sampers don't like vice city because of low polys and a lot less function into the game but I can make it up to dem with my picture. This is token by me, no editors. 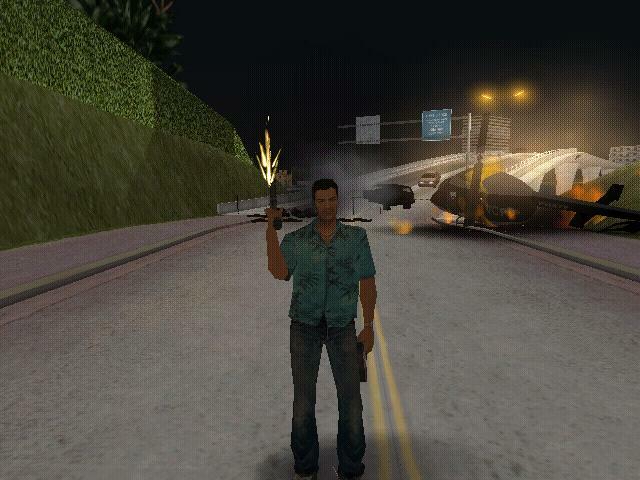 I used the mod San Vice for San Andreas. I love destruction so I used a sniper rifle in the cockpit of the helicopter to take it down, and a mini gun for the cars. The funny part of this picture is way back in the background there is a car that is unexploded and driving.